Mount Vernon is completely done and on display for one week at Spoiled in downtown Brenham. 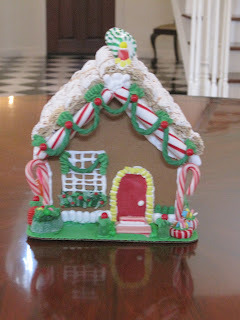 Now, We (Kelly and myself) need a little help, yesterday until Sunday, December 7th our gingerbread house as well as 26 others will be on the Habitat for Humanity website (www.wchh.org) where you or whom ever is welcome to go and place silence bids. Don't stop reading, please. Now, Monday, December 8th the top 15 gingerbread houses with the highest bids will then go to a live auction at Unity Theater here in Brenham at 5:30-6:30 (beer,wine and appetizers will be served). SO, we (Kelly and I) want Mount Vernon to go to the live auction and raise as much money as possible for Habitat for Humanity. Help us get to the live auction and help Habitat for Humanity build a real home for family. Don't forget to give the kids house a bid to! 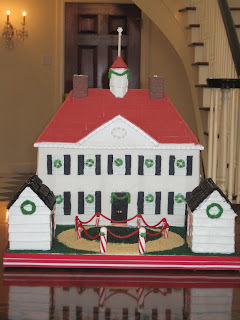 www.WCHH.org check out all the gingerbread houses. All the details are on the website.